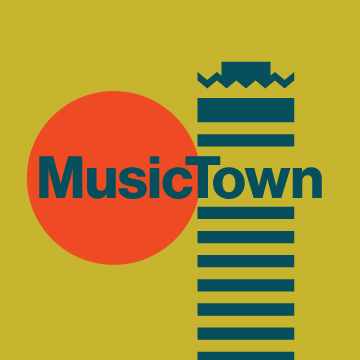 Details of the programme for MusicTown 2019 were announced. An eclectic 2-week musical celebration, this year MusicTown applauds collaboration and diversity in all its forms. From 5th – 21st April artists from across the musical spectrum will gather in Dublin to collaborate and create unforgettable musical moments. An exciting new addition to the programme this year will see a specially curated programme of events for children, MusicTown Jr, run from 5th – 12th April, encouraging music lovers of all ages to take part. A unique presentation based on a suite of poems by Dermot Bolger which depicts many 20th century traditional Irish musicians, My Father’s Kind, from Macdara Yeates, weaves a tapestry of music and words in celebration of a bygone generation of Irish artists. The Irish premiere of Grey Area a skateboarding film with live original score by the acclaimed Sam Perkin performed by Crash Ensemble, alongside a number of skateboarding events and photography exhibition. Contemporary ensembles Glasshouse & Sfiiinx present Songs from Below - a new arrangement of Jóhann Jóhannsson’s Orphée. Walking tour with Dónal Fallon that engages with the city’s architectural fabric and encourages consideration of the informal organisations and social structures that emerge around and within music scenes. Wooden Elephant play Kid A at the Grand Social. Nialler9 and Seven Quarters present a 14+ daytime gig on Record Store Day featuring performances from some of Ireland's best new acts. Dublin is Sound has also pressed a limited edition 12” vinyl record to mark the event. Under My Garage is presented by Macdara Yeates and will explore the work of acclaimed music video maker Bob Gallagher. Powerful young spoken word artist Natalya O’Flaherty brings her show ‘More than Words’ to the Sugar Club with special guests. A special double bill with Junior Brother and PowPig to celebrate their forthcoming joint release. Music Together present newly composed Trees - with video combining forest sounds and images of trees providing the backdrop. A number of events from the Royal Irish Academy of Music including Director’s Choice, Making the Grade: Screening and Masterclass and RIAM Young Scholar’s concert. A jam packed MusicTown Jr programme which will include the Big Free Family Gig: Stomptown Brass presented by The Ark in Meeting House Square, Contemporary Music Centre present Our Tunes, a choral walking tour for all the family and their teddies alongside a host of wonderful events from RIAM including Meet the Orchestra, Tales from the Shadows and My First Concert. Brought to you by Dublin City Council and Aiken Promotions, the programme covers an array of musical styles and genres. Setting out to explore and celebrate the diverse constellation of music cultures that exist in Dublin City, MusicTown aims to unify the city, making its music relatable and accessible, instilling a sense of pride in Dublin’s musical heritage, whilst welcoming newcomers and visiting artists. Booking for ticketed and free events opens tomorrow Thursday 7th February at 9am.